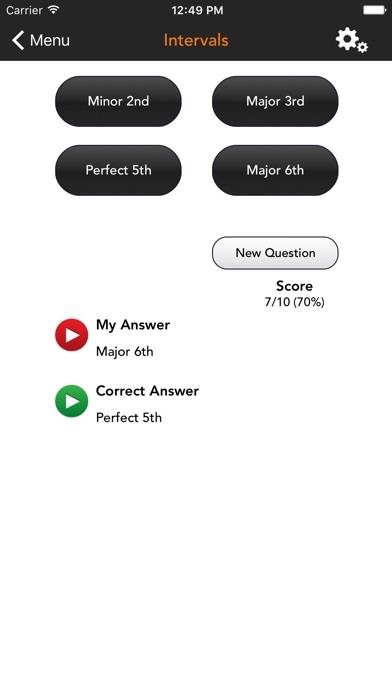 SolFi Ear Trainer 3 is an ear training application for students of music to improve their listening skills. It contains some basic exercises used by many schools to teach their students. 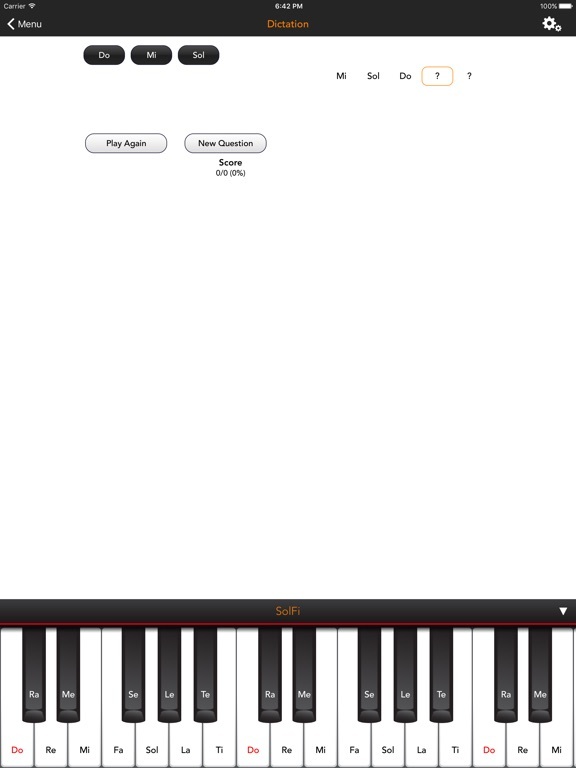 It assumes the user has some knowledge of music theory. 1. 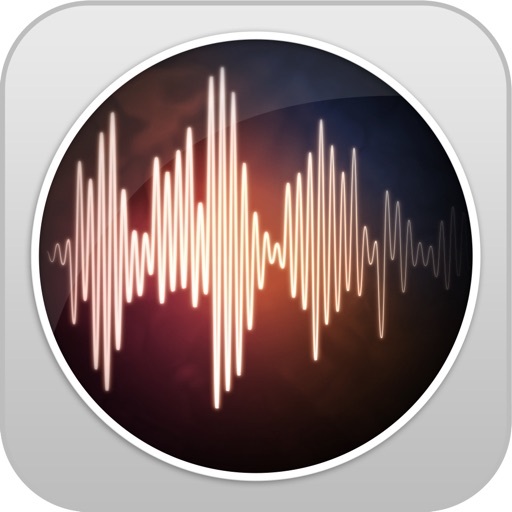 Pitch Dictation - Given a tonic note, one or more notes are played sequentially. 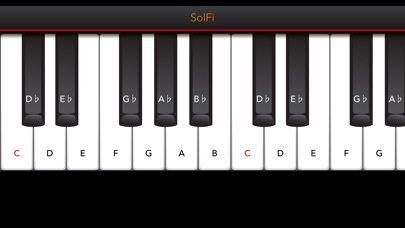 The user is asked to annotate the sequence using solfege or pitch names (for perfect pitch). The user can choose up to four parts. 2. Chord Identification - Three or more notes from a specific key are played melodically or harmonically. 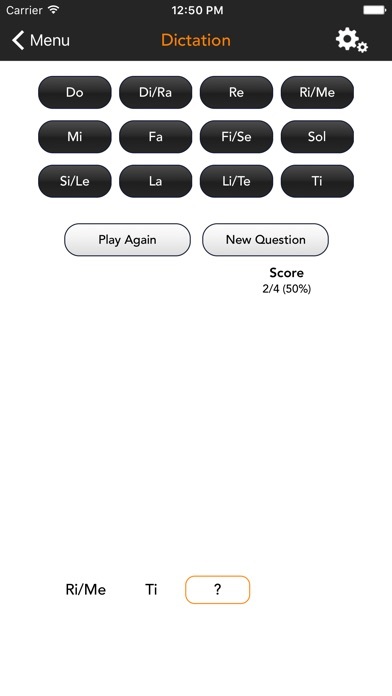 The user is asked to choose from a given set of chords and inversions. 3. 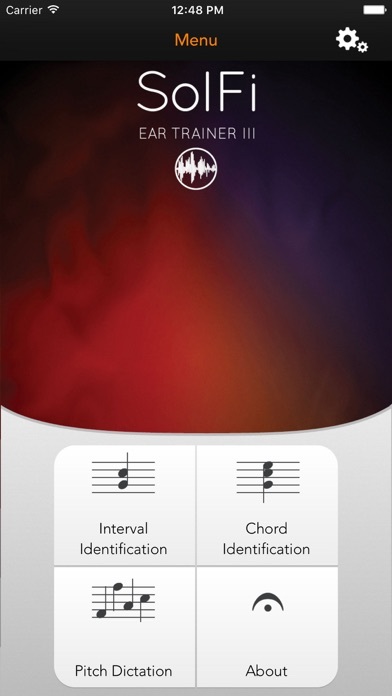 Interval Identification - Two notes are played melodically or harmonically. The user is asked to choose from a given set of intervals. 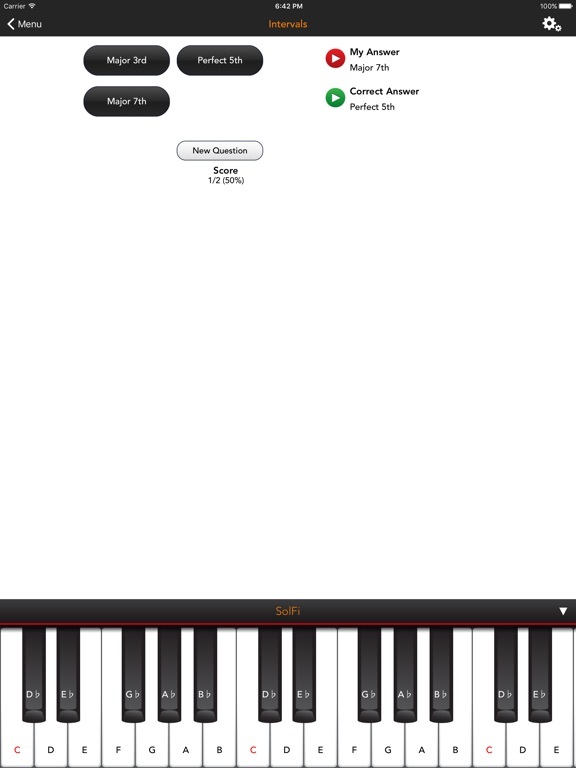 A piano keyboard is also be viewed in landscape mode. The tonic note of the current exercise is highlighted in red to assist the student.